Between Two Homes® does not directly provide counseling services. 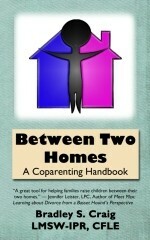 If you are looking for a therapist in the North Texas area, we encourage you to visit Coparenting Texas. You may also wish to visit our resources page.